We are the voice of not-for-profit. 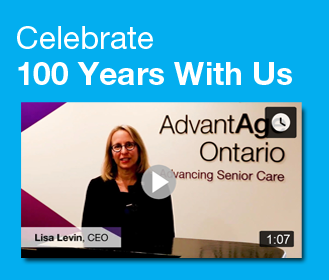 Membership in AdvantAge Ontario means joining a network of not-for-profit leaders across the province who share a commitment and passion for advancing senior care. Together we are stronger. We ensure that our members’ interests are represented to all stakeholders whose influence has impact. We deliver a collaborative, inclusive and supportive membership culture. We provide the right resources, information, tools, and relationships that members need to succeed. We educate on the advantages of our members’ approach. We believe not-for-profit is the best approach. We help all stakeholders understand what not-for-profit means and what it can do for the future of senior care. Long term care, housing or community services provider. Provider organizations that are not yet incorporated or not yet providing services. Non-profit organizations that are not direct providers of care or services to seniors. Companies and consultants that market and sell products and services to provider members. Individuals who have an interest in the sector and are not affiliated with a provider or commercial organization. Individuals granted lifetime membership for their dedication to AdvantAge Ontario and to seniors.